We’re facing an opioids epidemic. Addictions to prescription painkillers have spiraled OUT OF CONTROL. You can’t turn on the TV or open a newspaper without seeing a headline about the crisis. Around two million Americans have a problem with opioid use. And more than 130 people DIE every single day from an overdose of prescription painkillers. Maybe someone you care about has already been a victim. You should know it ISN’T their fault. In fact, they were SET UP by Big Pharma. And betrayed by a medical industry that’s been fueled by greed for decades. It began 20 years ago when a major drug company… and maker of what’s STILL one of the most popular opioids today… specifically set out to pressure doctors into prescribing their drugs. But they didn’t go after the docs… at first. Instead, they targeted ordinary folks like you and me. The drug company produced THOUSANDS of brochures and videos encouraging folks with pain to pester their docs for opioids. And that isn’t even the worst part. The propaganda they were pumping out told desperate people that fears about addiction were overblown. But the misinformation campaign didn’t stop there. We’ve now learned Big Pharma deliberately HID how addictive these drugs were from the doctors prescribing them too. Almost from the start, desperate opioid users were committing crimes to feed their addictions. And folks were crushing the pills and snorting them like cocaine. Yet the manufacturer kept these dirty details from the docs who were being pressured to prescribe them. They continued to assure them the painkillers were safe. But don’t feel too bad for those hoodwinked doctors yet. Because a new study has revealed a shocking new twist to the prescription painkiller crisis. We NOW know there are plenty of doctors who need to share in the blame. It turns out many doctors weren’t prescribing these dangerous opioid drugs based on their patient’s needs. But rather on how many “gifts” the drug company would give them to pull out their prescription pads. Keep in mind pharmaceutical companies can’t legally make payoffs. So they had to get quite creative with how they bribed the doctors. Elaborate “educational” dinners, paid “speaking engagements” in exotic vacation spots, and “consultant” positions were all common tactics. And according to researchers at the Society for the Study of Addiction, the bribes worked. Plus seniors on Medicare where the biggest victims of the swindle. Researchers compared more than 63,000 doctors who had received direct “promotional” payments from Big Pharma companies to over 802,000 doctors who hadn’t. And they found a disturbing pattern. 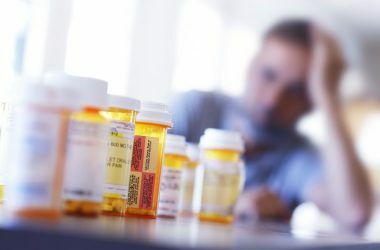 The doctors who took the payoffs wrote prescriptions for opioids at a rate of MORE than thirteen thousand extra doses per day compared to the honest docs who refused the handouts. With numbers like those, it’s easy to see what fueled the opioid epidemic. But it isn’t all bad news. Not all doctors are on the take. In fact, there are FAR more of the good guys who didn’t participate in the prescriptions for payoffs scheme than ones who did. Whenever you doctor writes you a prescription for painkillers such as opioids ask plenty of questions. Find out why he believes you should take it. Ask if there are alternatives. And feel free to do your own research BEFORE filling the prescription. To find out if your doctor took money from a drug or medical device manufacturer between August 2013 and December 2016 you can check out the “Dollars for Docs” database at propublica.org. And remember, you may be able to manage your pain with natural options. Herbs such as Boswellia, curcumin, and Devil’s Claw have helped ease the ache for countless folks. Topical solutions such as cayenne cream and CBD oil could be the answer. And hot and cold therapy, acupuncture, and massage are all great options too. Don’t trade in your pain for addiction. If your doctor wants to put you on opioids or other powerful painkillers be sure to get a second opinion first.